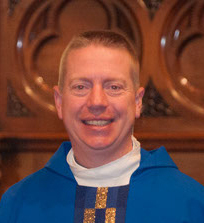 The Reverend S. Matthew Young serves as the Rector of St. Paul’s Episcopal Church. A native Northern Kentuckian, Fr. Matt earned a Master of Divinity degree from Trinity Lutheran Seminary in Columbus, Ohio in 1998 and a Bachelor of Arts degree from Wittenberg University in 1994. He grew up in Hebron and is a proud graduate of the Class of 1988 from Conner High School. 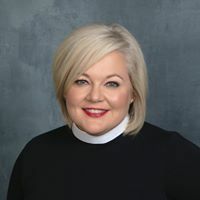 The Right Reverend Stacy Sauls, then Bishop of Lexington, appointed Fr. Matt as Vicar at St. Paul’s in September 2004. St. Paul’s, at that time, was a mission in the Diocese of Lexington. In 2012, after a period of growth and discernment, St. Paul’s became a parish again in the Diocese and Fr. Matt was called to serve as Rector. Fr. Matt serves as the Chaplain for the Newport Fire/EMS Department and also the Newport Police Department. Along with four firefighters in Northern Kentucky, he founded Kentucky Firefighter Peer Support which has trained over 50 firefighter/paramedics as peer supporters to listen, befriend, and serve others struggling with stressfulness in their vocations. For fun, Fr. Matt is the Coordinator of Football Officials of the Ohio Valley Conference (FCS). He is also the assigning secretary for the Northern Kentucky Officials Association for football and has been a football official since 1989. In 2018, he was appointed to the Board of Directors for the Blanton Collier Leadership Group for Sportsmanship and Ethics. He and his German Shepherd, Luther-dog, reside in the City of Newport. A native of Ohio, Christopher L. Koon has been serving churches as organist and conductor in the state for many years. From 2003-2008 he was the associate musician at Christ Church Cathedral, Cincinnati. Since 2010 he has been the regular organist at Rockdale Temple and substitute organist at Isaac M. Wise Center and the historic Plum Street Temple. He has accompanied choirs at CCM, Knox Presbyterian Church, Indian-Hill Episcopal Presbyterian Church, The Northern Kentucky Community Choir, and St. Catharine Church in Westwood. He has performed with members of the Cincinnati Symphony Orchestra and the Cincinnati Opera, mostly recently in their concert production, “Opera Goes to Temple”. 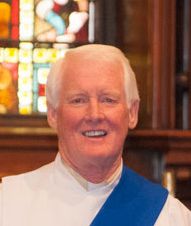 In August 2012 he accepted a new position as Director of Music at St. Paul’s Episcopal Church in Newport, Kentucky. He is on the faculty at the University of Cincinnati College-Conservatory of Music where he serves as Organ & Piano Instructor. Before moving to Cincinnati he served as Director of Music and Organist at Monroe Street United Methodist Church in Toledo. He was the organist with the Toledo Symphony Orchestra during this time. Growing up near Athens, Ohio, he attended Ohio University earning the Bachelor of Music and the Master of Music degrees. 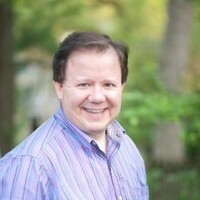 He also holds the Certificate in Organ and Church Music from the Indiana University School of Music in Bloomington. He has completed all course work for the Doctor of Musical Arts degree from the University of Cincinnati College- Conservatory Of Music. His principal organ teachers were the late Prof. Eugene H. Wickstrom, Dr. H. Joseph Butler, professors of organ at Ohio University, and Dr. Larry Smith, retired professor of organ at Indiana University. He also studied church music with Dr. Marilyn Keiser at Indiana. For most of his doctoral work he studied with Dr. Roberta Gary (retired, College-Conservatory of Music) and will now study with Dr. Michael Unger, newly appointed organ-harpsichord professor. In addition to his organ studies at Ohio University, Mr. Koon studied classical saxophone, performing with the Ohio University Wind Ensemble, Orchestra, Saxophone Chamber Ensemble, and the Jazz I ensemble. This summer he completed his thirty-fifth year in the Ohio University-Communiversity Concert Band where he has been first chair saxophone for numerous years. He also plays the Native American flute.